Language learning strategies received great interest from researchers since the 1970s. The relationship between strategy use, strategy instruction and language proficiency has attracted much attention and debate over the years. Strategy instruction research is expected to produce different results in different parts of the world largely because of the effect of different educational systems and cultural values. This study attempted at investigating strategy instruction within the Saudi context as a contribution to the growing global picture of cross-cultural strategy use and instruction. This accumulation of findings from research around the world will be useful for language teachers, researchers and program designers. 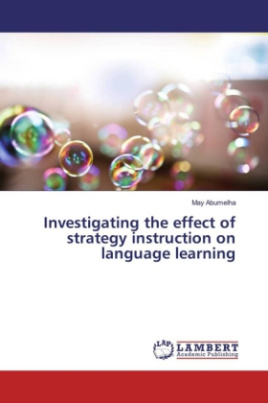 The study targeted Saudi female English majors at King Saud university to investigate the relationship between explicit first language strategy instruction and language learning examining whether there will be a difference in strategy use after strategy instruction. Moreover, the study also investigated the effect of the strategy course on subjects' language proficiency level by the end of the semester in three different skills reading, writing, and listening.